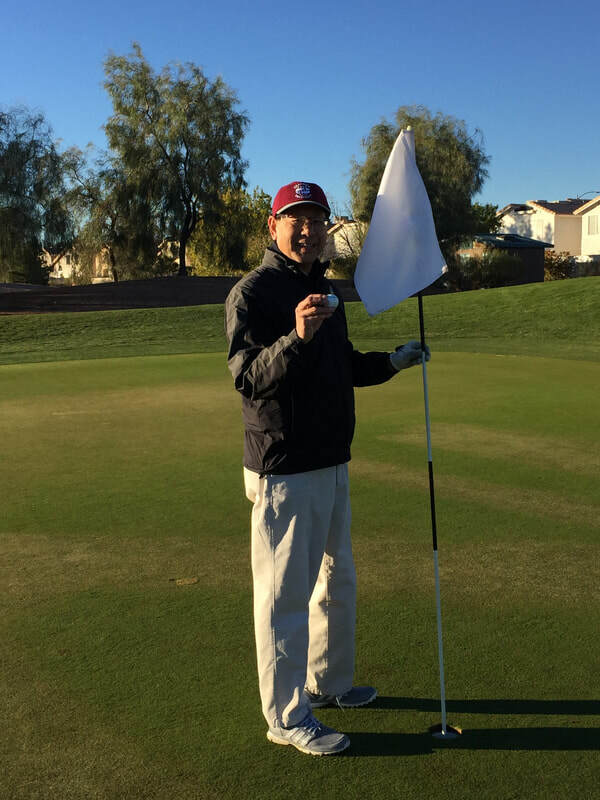 On Dec. 8 at Durango Hills Golf Club, Daniel Lee stepped up to the 140-yard, par-3 fourth hole to tee off in what would become a most memorable shot. Daniel placed his tee in the ground at the exact height and placed his ball on it. With a mighty swing, he connected with the ball and sent it exactly where he intended. The ball rolled perfectly into the cup for a hole-in-one. As is tradition, Dan bought all his GASCON golf buddies a round of drinks at the clubhouse. ​The Golf Group plays every Friday and Sunday at Durango Hills. Tee time is at 8AM.